This Guidelines book provides technical information on how to conduct a consequence analysis to satisfy your company's needs and the EPA rules. 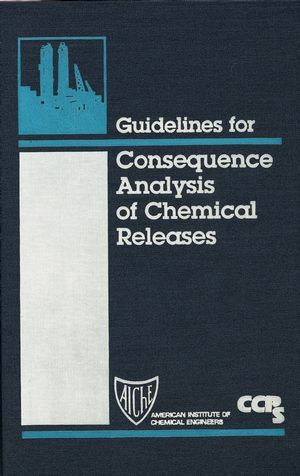 It covers quantifying the size of a release, dispersion of vapor clouds to an endpoint concentration, outcomes for various types of explosions and fires, and the effect of the release on people and structures. Special Details: Includes CD-ROM with example problems worked using Excel and Quattro Pro. For use with Windows 95, 98, and NT. 2.3.1. Neutral and Positively Buoyant Plume and Puff Models. Chapter 3. Explosions and Fires. 3.1. Vapor Cloud Explosions (VCE). 4.1. Dose-Response and Probit Functions.